QUARTO VUOTO is back, expected by the prog fans who are most attentive to the new bands, after the remarkable achievements of the debut album of 2014 (much appreciated, for example, on Progarchives). "Illusioni" is a return that proves the maturity test for the young band of Treviso: a concept in six long acts, intended and conceived on totally instrumental paths, rich of neo-prog atmospheres, close to Kscope area. Great pathos in prog-psychedelic colors, imaginative modern-prog with space-fusion reverberations: introduced by the sweet, introspective lightness of "Nei Colori del Silenzio" between keyboards and small guitar arpeggios, they take on progressions of particular intensity with "Coscienza Sopita", "Impasse" (rhythmic and dreamy at the same time), " Apofis ", "Due Io".A special mention deserves the eleven minutes of "Apofis" from the arremal attack, full of variations, from the jazz mood of the sax of Giulio Dalla Mora to the intimistic piano suspension.Everything gets tired with the concise melody of "Torner�", exalted by the violin of the guest Mauro Spinazz�. 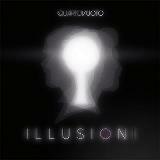 "Illusions" particularly reveals a convincing interplay, the empathy between Nicola D'Amico's technical and compelling drumming, Edoardo Ceron's bass textures, the never-overstanding colors and depth of Mattia Scomparin's keyboards and the imaginative guitar work by Luca Volonnino, always outlined in past and modern times. Precious interplay that becomes lyrical and visionary expression. Progressive rock, with new freshness, yet ancient in its conception, free to fly (and make dreams), without borders! A new fresh rockabilly band fron Barcelona, killer rockabilly band with a 50's style.... the new sensation!!! The one and only Swiss Skajazz band from Bern the capitol of Switzerland. When they played with Hepcat they showed the people that Q.I.T. is a kind of Eastern Standard Time or NY Ska Jazz Ensemble, but one thing is different; they sing in Swiss German. Especially the instrumentals are something of the best what Ska ears have ever heard. 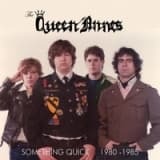 Magnificent 1997 unreleased album from Seattles Queen Annes follows up 2014s super-rocking Something Quick 1980-1986 in its full splendor. 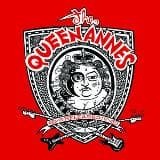 The scoop: shortly after releasing The Mire on Vagrant Records in 1997, the Queen Annes headed back into the studio to record their masterpiece, Revenge! Squeezing in time when they could, they brought in horns and cellos as the spirits moved them. Upon completion, the album was sent out to master and then . nothing. A few CDR copies with a rubber stamp cover circulated around, but it never found a home beyond the dustbin of history. Nearly two decades later, we have recovered the 1997 master, restored the original front cover and presenting it to the public for the first time ever as Released! Released! contains not only eleven unheard and quite fine Q.A. songs - it has a Beach Boys and two(!) early Bee Gees tunes . Glorious! FINALLY! A deluxe vinyl edition of this studio album. An incredible book-style packaging (measuring 12" wide by 10" tall) wrapped around 3 10" records, including a bonus track not available anywhere else! A highly collectible 7" vinyl single from Geoff Tate & Queensryche featuring the intensely powerful lead off track from Frequency Unknown as well as a recently recorded version of the bands biggest hit, "Silent Lucidity!" 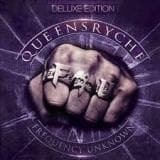 A WHOLE NEW FREQUENCY - Limited edition deluxe reissue of the 2013 studio album featuring the original album plus an entirely new remix and arrangement done by multi-talented producer Billy Sherwood!This album features the heaviest R�che ever, including original vocalist Geoff Tate, bassist Rudy Sarzo (Quiet Riot) and drummer Simon Wright (AC/DC) PLUS guest appearances by K.K. Downing (Judas Priest), Chris Poland (Megadeth), Ty Tabor (Kings X), Paul Bostaph (Slayer), Brad Gillis (Night Ranger), Dave Meniketti (Y&T) and more!Packaged in a deluxe 2CD digipak! 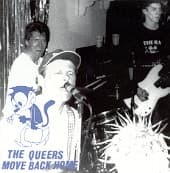 The Queers kicked it off live in the winter of 2006 at one of Philadelphia's faves, The North Star. Joe and company ripped through a blazing set as the drunken rowdy crowed screamed for more! This CD features the ultra HQ multichannel board audio, mixed and mastered by Philly Legend, Arik Victor of Creep Records! Over 30 Tracks of Pop Punk glory! The Queers kicked it off live in the winter of 2006 at one of Philadelphia's faves, The North Star. Joe and company ripped through a blazing set as the drunken rowdy crowed screamed for more! This CD features the ultra HQ multichannel board audio, with a 3 camera professionally shot and edited dvd. 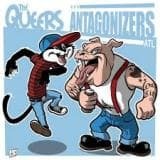 Over 30 Tracks of Pop Punk glory! 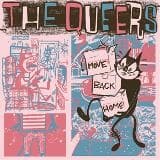 Goomba is extremely proud to welcome US punkrock legends The Queers to the family! PunkRock Confidential Revisited is the re-recorded re-issue of the 1998 classic on Hopeless Records.This version contains two new tracks and there are guest appearances by members from ParasiteDiet, The Riptides and Teenage Rehab. Asian Man Records and Rad Girlfriend Records havereleased it in the USAight, but the Monster Zero version comes with alternate artwork and in twovinyl versions, solid yellow and solid blue and the sun always shines around you. The QUEERS are moving back in, so you can forget about turning their bedroom into a den. They sleep all day, never change their clothes, and play some of the most ferociously catchy punk rock in the world, hands down. But so what, that doesn't mean they'll kick in for rent. This album tells a moronic tale of some rejects from New England, their failed love lives, their eating habits, their pretty gripes, and their dumb pals. Hey, they're singing your life with their words! Re-issue! Here's a re-issue of the long out of print vinyl version of MOVE BACK HOME. Brand new cover illustrated by Robin Banks! Classic 1993 EP available for the first time in 25 years. Available on 6 different colors, with digital download card included. 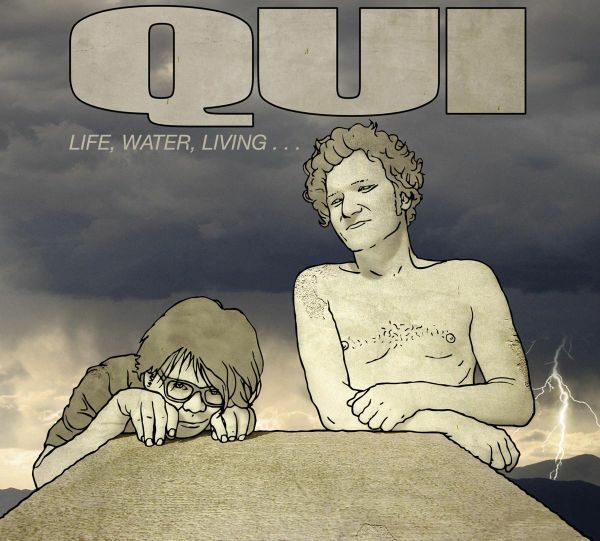 Qui's first full-length release since 2007's "Love's Miracle" (Ipecac Records). Produced by Deaf Nephews, the production team of Toshi Kasai and Dale Crover. Original artwork and layout by David Yow. Limited first press on red vinyl in a string of singles these guys are doing with various labels including Cobraside, Blood of the Young, Three One G, and Joyful Noise. Additional percussion on this by Dale Crover of the Melvins. Graphic design by David Yow of the Jesus Lizard. Many collect his art, and this single is just that... graphically a piece of David Yow's art. Some of the best Qui songs yet! You NEED to hear this. Incredible. Blood of the Young couldn't be prouder to be involved with this one! Two tracks taken from Los Angeles' Qui's 2009 album release. Features David Yow (JESUS LIZARD) on vocals. Limited to 500 on white vinyl, signed by all three band members and hand-numbered. Originally released for their performance at the 2009 All Tomorrow's Parties. Featuring David Yow on Vocals! Limited to 500 on RED vinyl. Limited Record Store Day 2015 release! Cobraside's own QUI present a brand new track, backed by the new band from Kevin Rutmanis of The Cows, Tomahawk and the Melvins (hepa/Titus)! When asked for their words of wisdom, Qui said "As for a blurb, I'm not sure of a good story, per se. Really, we're buddies and thought it would be fun to put something out together." Mysterious Bill Quick?.this guy was son of North- American dad and Venezuelan mum, and landed in Madrid in the early 70s, spending most of his time playing music and manufacturing leather belts and other stuff that he later sold at the popular Rastro flea market in Madrid, meeting point for all hippies of the time.He somehow got in touch with famous producer Alain Milhaud, who got really impressed by his work and quickly offered him a deal for recording a long- play to be released in Milhauds own Explosion label. Then Bill recruited some of top studio musicians and foreign friends who were also living in Madrid at the time; the list of people who play on the recordings is impressive: Salvador Dominguez & Chema Pellic� (ex- Cerebrum), Rafa G�lvez (later on Vainica Dobles backing band), Frank Rojas (Sangre), Jess Lam (Jess & James)?and up to eleven musicians joined Bill in the recording studio. As a result, ?Maravillosa gente? (Beautiful people) was recorded. Ranging from beautiful, introspective, acoustic solo tracks like ?Beautiful People?, ?Only the weather? or the acid- folk of ?Winters gonna come? to full backing- band hard- edged ones like ?Take me away?, ?Somebody? and the folk- rock sounding of ?With you, Lord? or ?I sing this song?, the album is a real treat from start to finish. It has an awesome sound and amazing production (it was recorded at one of the most advanced Spanish recording studios at the time), along with top musicianship and Bills amazing songwriting. A real big ticket that was absolutely ignored in Spain at the time, and even today remains unknown to most of folk- rock collectors and fans. 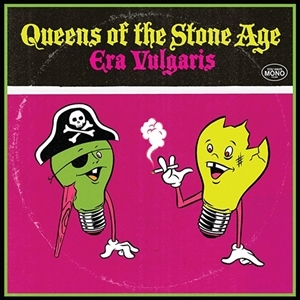 Curious enough, the album got released in Brazil as well (with poor sales again), with a different cover artwork. Now this is reissued for the first time, including a booklet with pictures and detailed liner notes telling the wonderful and strange story of this mysterious musician and carefully remastered sound. Outer carton slimcase.